A friend – A: Hey, suggest some foreign country for my next vacation. I: Hmm, have you been to Bhutan? A: Nope, but I want to see an actual foreign country. Tell me some other countries ya. Have been thinking of going to Paris. I: Do you want to see a country with breathtaking picturesque landscapes while driving through the clouds, pump your lungs with the most unadulterated air, live the life unspoiled by globalization in the quaint villages and see happy faces all around? A: What, Norway? Switzerland? That’s out of reach for now. I: And that’s why you should visit Bhutan. 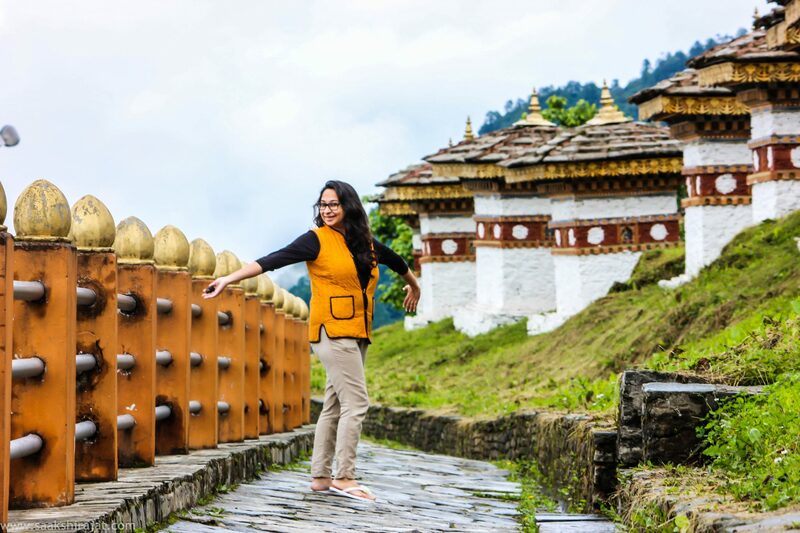 Bhutan offers all this and so much more and will be in your reach! If visiting a foreign country had been on your mind and your pocket doesn’t allow you to travel to expensive countries, then Bhutan should be your choice. Bhutan has been lot undermined by people who travel only to update their social media with fancy check ins of France, Switzerland, Italy, Australia and so many more actual “foreign” countries. Bhutan is a place to take life slow, appreciate every passing moment, fall in love with the ever changing landscapes, sit by the river side pondering about life, gaze at the fine intricate details of the most well architectured monasteries, smell the freshness of the air and meet the most happy souls of the world. Here are some photos which will definitely make Bhutan your next travel destination. Isn’t Bhutan on your mind even now? Drop a comment if you liked these postcards. Great pictures! especially the one of the mask. Thanks 🙂 But says who that Paris can compensate for Bhutan! Trust me, it certainly can’t ! Whaaaaat?! These photos are GREAT! I just love the rainbow color effect in each one, especially the first. Bhutan, I’ve got to see you for myself someday! I wouldn’t hesitate to go to Bhutan. It’s gorgeous. You’re lucky to be so close to say it’s easy to get to, while others are out of reach. I’d love to be closer, so I could just pop over there and check it out. I mean, what a beautiful place. I honestly probably also wouldn’t have considered Bhutan but these are lovely pictures! I’ll have to find a way to make it there sometime. Bhutan looks incredible and is a place I am dying to visit. Love the shots you took! Especially the first one! Bhutan looks incredible! It’s definitely a place I am dying to visit. Everything about the country is fascinating. With a landscape and inspiring architecture like that, I’m not surprised that Bhutan is such a happy country. How can you not smile when you’re living in such a place! Well for me Bhutan is a very long way from home, and more expensive to travel to than Norway or Switzerland but I take your point about not overlooking the wonders of one’s immediate neighbours. The photos are gorgeous, really beautiful.